Premium dried tart cherries with savory nuts and milk or dark chocolates are a perfect combination. We have a snack mix for everyone, from healthful to fun and everything in between. Looking for something on the healthy side? Try our Cherry Almond Chocolate Mix. It has healthful almonds packed with Omega Fatty Acids, and have you heard about the healthful benefits of antioxidants? Well, cherries and dark chocolates are loaded with them. Feeling nutty? 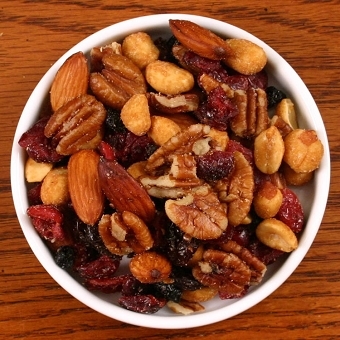 Our Traverse Cherry Berry Nut Mix is a fan favorite, and tastes great with dried cherries, cranberries, blueberries, pecans, almonds, and honey roasted peanuts. Festive? 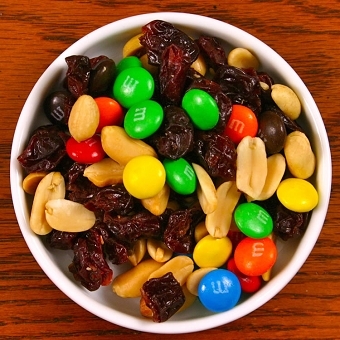 Try another favorite... Our Cherry Festival Mix made with peanuts, dried tart cherries, and M&M's.